Beautifully renovated 1920 Bungalow in Villa Heights. Custom finishes include granite and custom tile work, farmhouse sink, and new built-in cabinet storage and serving counter in the dining area. Security system and a new Nest thermostat. Recently painted inside and out. Beautifully landscaped corner lot with large fenced backyard offers privacy and extended outdoor living with mature trees for shade. Backyard storage building has lights, power, and security system. Walking distance to Parkwood Lynx Station and Cordelia Park. 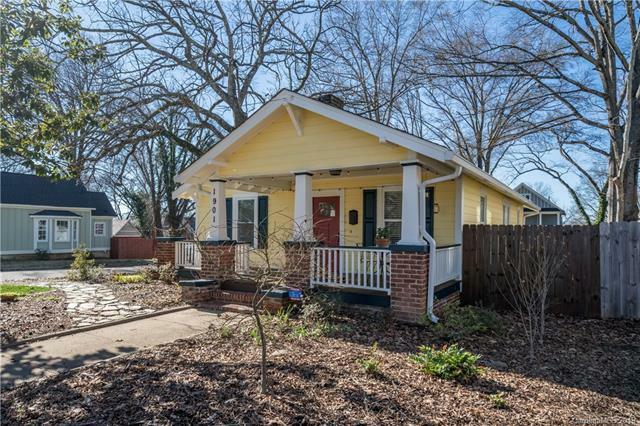 Close to NoDa and Uptown. Wonderful winter view of the Charlotte skyline from the backyard.